One of the most popular questions asked at our cookery school and when our chefs perform demonstrations of their dishes is ‘how do you fillet fish?’ Here is our head chef of St. Petroc’s Bistro, Nick Evans, to share his golden rules for easy fish filleting. 1. Make sure you have a sharp flexible filleting knife. 2. Use the bones of the fish as a guide. 3. All round fish are basically the same, this is true of flat fish as well. 4. Remove the head of round fish before you fillet as this will make the second fillet a lot easier to do. 5. Always fillet the underside of a flat fish first. If you would like more information on filleting fish, watch Jack Stein’s video tutorial here. 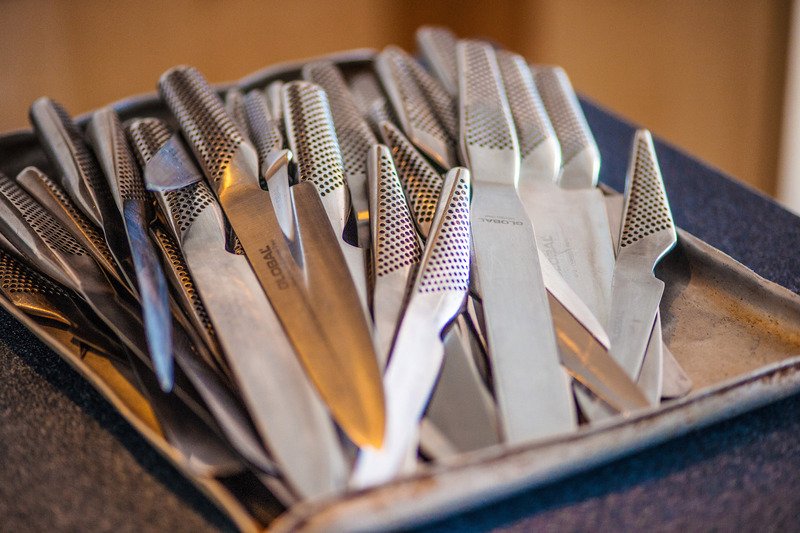 What make an where would you purchase a good filleting knife @£30:00.